Cut the Carbs is the result of the many ways Tori Haschka discovered to happily avoid white carbs, taking inspiration from all over the world. Since changing her diet, she has felt healthier and gained energy, her skin has improved and she has lost weight and kept it off. So if you want more energy or simply want to be more adventurous in the kitchen and plan a mean that isn't based on bread, potatoes, pasta, or rice, look no further. Tori Haschka is a Sydney-born food and travel writer and the author of the acclaimed A Suitcase and a Spatula. 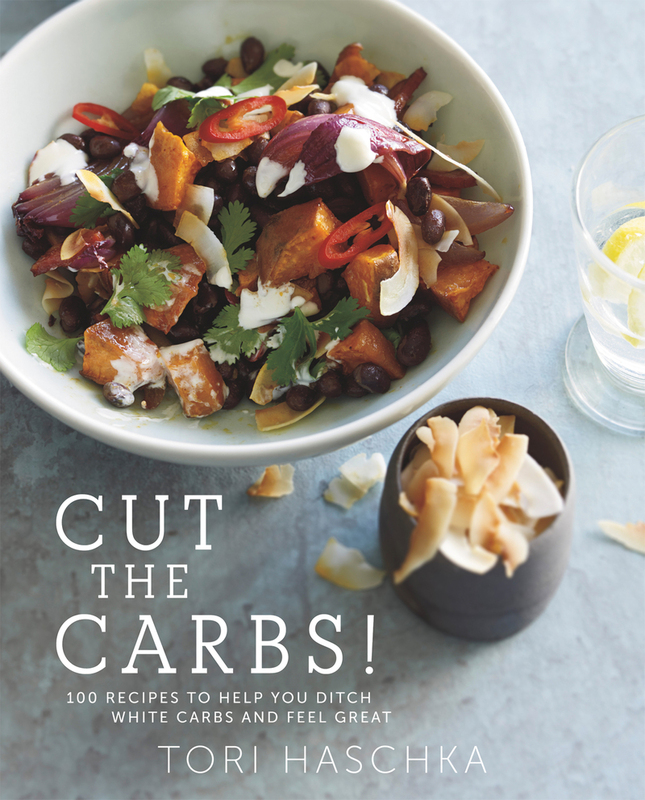 In September 2012 she released 30 slow-carb recipes as an eBook through her acclaimed blog www.eatori.com. It has now sold in excess of 2,000 copies and been featured in Red Magazine and Woman and Home. This is how she eats when she's at home. Tori develops recipes and writes for Borough Markets, The Vine, The Coop Magazine, The Huffington Post, Lovefood.com, The Arbuturian and Australia's largest women's community: Mamamia.com.au. Her recipes have been featured in Grazia, Stylist and The Sunday Times. In 2012 her blog was named as one of the six best culinary travel blogs in the world. It receives up to 5,000 hits a day.